Schools of Equality / What’s your stereotype? 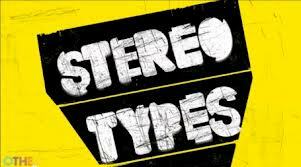 “I asked different people (fellow students and family members) to each think of a personal stereotype. Inspired by photographer Gillian Wearing, I photographed my subjects holding signs in front of them with their stereotype written in large handwriting. I selected the best 29 photographs and put them into a photo collage. I asked one of the people to hold a sign which reads ‘I’m a person, so I must be stereotyped’, and placed this image in the centre of the collage. Stereotypes play a big part in society and there are just so many at present, it seems that everyone has to fit into a category, whether that be rich, poor, skinny, fat, dumb blonde, football hooligan, etc. Although stereotypes will probably never disappear, I think it is important to highlight the fact that people aren’t always what they seem and that labels can be offensive and are, most likely, incorrect. 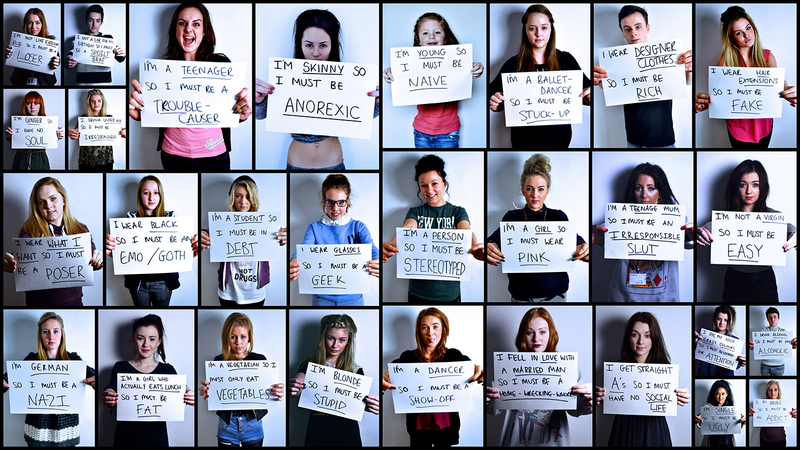 This is what I feel needs to change, as people shouldn’t only be judged on appearances.